When 0ne thinks of fruit, they think biting into an apple, making a tart (or tarte tatin), a banana bread or just a simple fruit salad. Myriam of Hap n Tap shares a recipe for Kiwi Carpaccio (served with basil & white chocolate) – can I hear a “hurray” from all of you? Then Apolina of Bombay-Bruxelles creates a Raw Banana Cutlet dish… who knew that banana’s could be so interesting? Sylvain of Un Peu Gay Dans Les Coings made a truly delicious sounding combination with Candied blood orange rice! 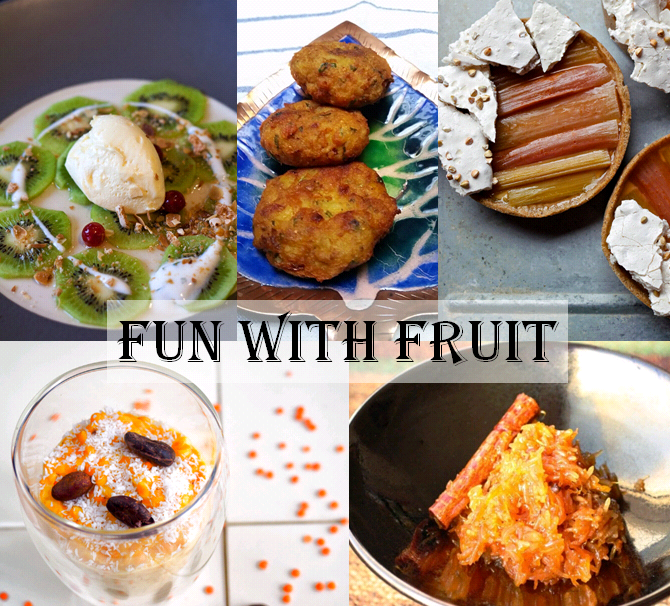 Do you have a funky fruit recipe that you wish to share with us? Just add the link to the comments section below!